Cindy's Throws is the world's largest e-commerce site specializing in 100% cotton throws, blankets, decorative tapestries and afghans. 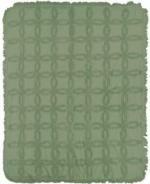 For 27+ years Cindy has been dedicated to providing high quality woven tapestries. We carry over 2,500 designs which are proudly made in the USA. Our blankets, throws, and pillows comfort our customers worldwide. We have something new and unique for every person and every occasion. Cindy's Throws is your one-stop shop, saving you time and keeping the buying experience simple through our streamlined checkout process. Due to high shipping costs, Cindy's Throws will no longer be shipping orders out of the United States. We apologize for any inconvenience and appreciate our loyal customers from other countries. Here's a Classic Meme: "When Your Kids Keeping Asking for an Easter Basket". 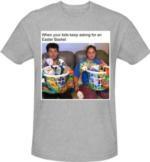 Take an Old Idea "Meme" picture with a text and Create a NEW Idea "Meme on T-Shirt". Cindy's Throws is launching a NEW and exciting way to express yourself with fashion; expressing the subject is to express yourself. Make a fashion statement, create some laughter, get your creative juices flowing for those up and coming special occasions: Birthday, Baby Shower, Bachelor Party, Bridal Shower, Family Reunion, School Reunion, the ideas are endless! Full Color 11" x 11” Image, T-Shirts are 90% cotton, 10% polyester, Adult Sizes SM – XL $24.95 SALE $19.95 (we carry plus sizes) Just select a photo, add your text, select size and quantity. Orders ship direct to you. Give it a try! If you don't see the image you love, please email us your image at cthrows@cindysthrows.com. FREE Shipping On T-Shirt Orders. Limited Time Only – Don’t Delay- Get Creative – Order Now Cindy’s Throws has the right to not accept any offending, immoral or adult text that can be offensive or any trademark quotes or property rights. Green Vintage.. Vintage tufted cotton blankets, hand-tufted throws with an embroidered appearance are becoming increasingly popular. 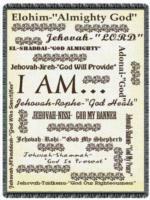 Throw blankets are 100% soft tufted cotton made in the USA. Cotton tufted throws are machine washable, tumble dry with matching throw pillow. Large Mouth Bass throw blanket by © Ron Louque. Here's a fishing throw that every fishermen dreams of! 100% cotton designer throws, blankets, coverlets, afghans and tapestries are made in the USA. Each blanket and tapestry are washable and tumble dry. Every Bass coverlet and afghan make unique gifts. Juliette Bouquet by © April Cornell Table Topper. A beautiful and bright way to decorate any room. Table Toppers are a great way of adding a pop of color to any table by being used as a table cloth. 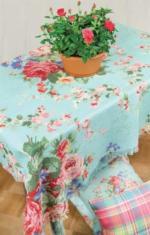 Poly Table topper throws are screen printed in the USA using vibrant colors. Each throw is ultra soft, rich in color, gentle cold wash, dry on Air. 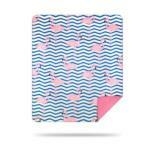 Poly throws are screen printed in the USA using vibrant colors. Each throw is ultra soft, rich in color, gentle cold wash, dry on Air. Fresh Flowers by © Sandy Lyman. Spring is here and you might be thinking of dressing up your patio furniture with some decorative pillows. Blue Bonnets by © Martha Collins CLIMAWEAVE a new collection of indoor / outdoor pillows constructed to withstand the elements and time. The exotic feel to this throw pillow will lend itself to many styles in your settings. These fabulous designed throw pillows are extra generous 18" X 18" to enjoy season after season. Decorative indoor/outdoor pillow is made from weather resistant fabric that is moisture and fade resistant. Climaweave pillows are made in the USA. 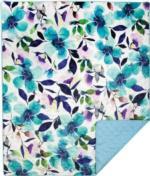 Cherry Blossom Sherpa Fleece Throw by © Lovitude. Snuggle and keep warm while watching TV, or reading a book with this Ultra-Plush Sherpa fleece blanket. Sherpa fleece throws features an intricately detailed image or sentimental phrase. Sherpa blankets are machine washable and tumble dry. Sherpa fleece is a type of fabric made from polyester. It is a variant of stretch knit polyester fleece fabric. It has two distinct sides; one has a smooth knit side, and the other side has a texture intended to imitate the look and feel of a real sheep's fleece. Lilac Bloom Quilt Blanket by © Stephanie Ryan. Each quilt being beautiful in its own design. Quilt backing is the same color as the binding. Quilts are machine washable and tumble dry. All quilts are pre-washed, pre-shrunk. Give your bedroom a new and inspiring look with a beautiful quilt for the top of your bed, the back of a chair or hung on the the wall as art. Each one being of fine quality and comfort. Each quilt measures 50" x 60", polyester with cotton and polyfill. Let Us Go To His Dwelling Psalm 132:7 by © Caroline Simas. 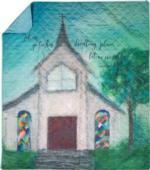 Each quilt being beautiful in its own design and sharing an inspirational word or scripture of truth. Quilt backing is the same color as the binding. Print on quilt is done in the USA. Quilts are machine washable and tumble dry. All quilts are pre-washed, pre-shrunk. Give your bedroom a new and inspiring look with a beautiful quilt for the top of your bed, or the back of a chair. These quilts would make a wonderful piece of wall art. Each one being of fine quality and comfort. Each quilt measures 50" x 60", polyester with cotton and polyfill. Denali Flamingo recognized as a distinctive gift due to its plush feel and large size and known for warmth and softness these unique throws are made microplush, a hi-tech pile fabric with a very fine denier acrylic making it light, soft and comfortable to touch. Wrap yourself up in this rich Denali Home Collection microplush ® throw blankets. Denali throws have a unique double thickness softer and warmer than ordinary fleece a Denali feels like a hug. 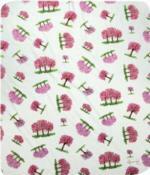 Denali throws are machine washable and tumble dry, made in the USA. Wrap up in a blanket by Denali. Your Life was a Blessing Throw will warm the heart that has lost a loved one. Bereavement throws, coverlets, afghans, decorative tapestries and blankets are 100% cotton, made in the USA. Every sympathy coverlet and afghan make unique gifts. Each throw and tapestry are washable. Library features a book shelf full of books. Furniture throws with books are 100% cotton, made in the USA. Library throw blankets are machine washable & tumble dry. 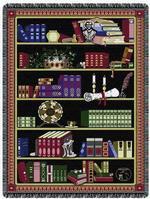 Tapestries for the teacher or librarian make unique gifts. An exclusive at Cindy's Throws. A Custom Gift Certificate Especially for You! A Custom Gift Certificate Especially for You! Pick up the phone a call 406-827-9634, to give the amount you wish. Can't decide what to buy your loved one, family member or special friend, a gift for a special occasion, bereavement, holiday or just because? Give a gift certificate and let them make their own choice! Cindy's Throws has something for everyone, any age, even for that person that seems to have everything! Cindy proudly supports Made in the USA tapestry throws that are 100% cotton. Throw blankets are machine washable and tumble dry. 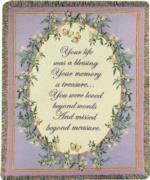 Furniture tapestries can be personalized by using our own embroidery machines.